A BUSKER KNOWN AS the Invisible King has been jailed after almost killing a rival ‘living statue’ in a street performers’ turf row. Dechko Ivanov, 37, spent his days standing perfectly still in a gold-painted outfit and crown on prime busking territory next to the London Eye on the UK capital’s South Bank. But when the ‘Silver Wizard’ – 45-year-old Rumen Nedelchev, who wore similar metallic robes with a tall pointed hat – got to Ivanov’s favourite spot before him on June 1 last year, an argument ensued, the Daily Mirror reports. Ivanov accused Nedelchev of stealing his audience, then hit him with a concrete block, kicked him, and rode away on a bicycle, the Inner London Crown Court heard on Friday. 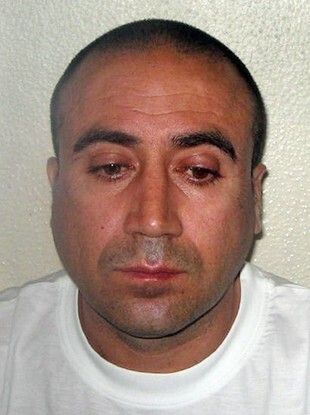 Nedelchev suffered a fractured skull in the attack and was hospitalised for three months in the UK and Belarus. The two men lived together in the nearby suburb of Kennington – but fell out over their rival street performances, the Daily Mail reports. According to the Daily Telegraph, Nedelchev was back in costume as the Silver Wizard on the South Bank yesterday. Email “Living statues in bloody street fight over prime busking spot”. Feedback on “Living statues in bloody street fight over prime busking spot”.